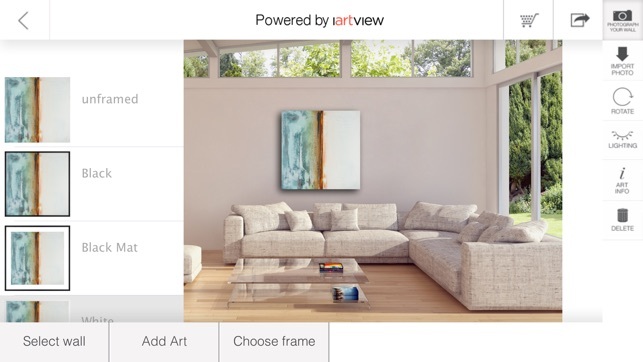 The advanced viewing solution for artists, galleries, collectors and interior designers. 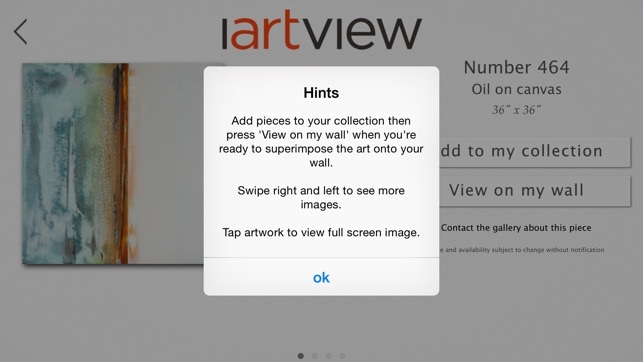 Instantly view your artworks to scale on personal wall spaces, no measuring! Fast and easy to use. 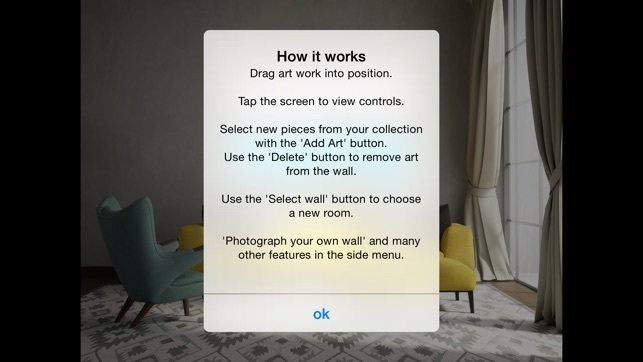 Import images of your art, shoot a photo and start sharing your new walls! 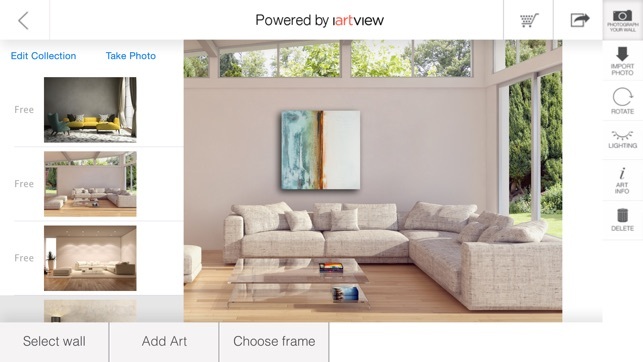 - iArtView auto scale technology automatically scales artwork to your wall space. No need to measure. 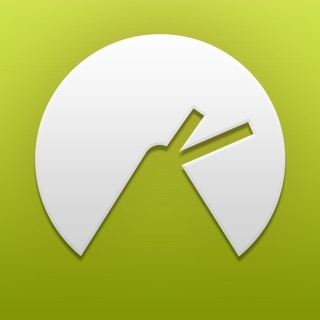 - View single or multiple artworks on your personal walls. - Not near your wall? No problem! Select one of the designer interiors provided. - Adjust lighting and angle. Choose a frame. - Get inspired! Choose a new wall color with the scaleable Color Wall. 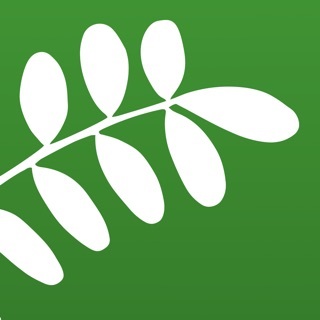 - Save your new walls to your camera roll or email for handy future reference. - Share newly appointed walls with clients and friends via Facebook, Instagram, Twitter, Pinterest and email. - Purchase inquiry and follow up emails are now a breeze. Emails with selected artworks and wall images pre imbedded. 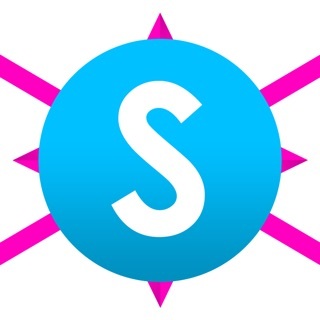 - Share codes allow you to share your portfolio with clients. Clients download the app and can view your collection on their walls. 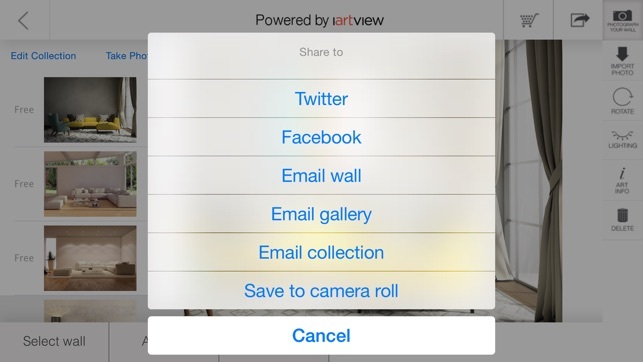 - Customize your gallery collection screen with gallery logo, information and GPS map directions. - Custom App versions allow you to have your own independent app in the iTunes App Store. API integration code provided that links your website data to your app for time saving auto updates. Payment will be charged to iTunes Account at confirmation of purchase. Subscription purchase will automatically renew unless auto-renew is turned off at least 24-hours before the end of the current period. Account will be charged for renewal within 24-hours prior to the end of the current period, and identify the cost of the renewal. Subscriptions may be managed by the user and auto-renewal may be turned off by going to the user's Account Settings after purchase. No cancellation of the current subscription is allowed during active subscription period. Any unused portion of a free trial period, if offered, will be forfeited when the user purchases a subscription to that publication. 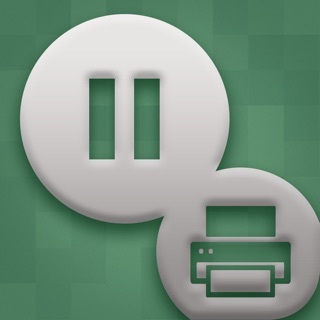 Easy to use for busy and artists. Just snap a picture and put it on a wall, any wall or background. There’s a good number of walls offered in the package but you run out of walls fast if you produce constantly. There should be more walls added to the inventory. I have the Plus subscription and I think there need to be more walls for the price. I can see how other artists complained that it can be pricey. The top of the line subscription is too pricey for me at this point. I’m ok (not absolutely satisfied) with this app, until I find another one. I like the concept and at first selected the smallest package. It is good. BUT, I wanted to upgrade to the second level, and have tried and tried. After paying for the year in advance, i thought it reasonable to upgrade to the next level and pay the difference in the cost. It won't let you upgrade and pay the difference... you must pay the full price, even after paying for the lower tier already. I have called 2 times ( left messages) and written at least 3 times, and no one has gotten back to me. Very disappointing. Per the app’s instructions, I uploaded 5+ photos of art and took a photo of my wall so that I could arrange them. But at no point did the app ask me the measurements of my wall. The pieces I uploaded showed up on the image of my “wall” relatively proportionate to each other, but off respective to the wall dimensions. But don’t worry, you can RESIZE your pieces of art. Great, if you have the luxury of changing all the sizes of your art. But I thought the point was to hang real pieces on a real wall. So basically this was useless for what I needed. Ugh. I want my money back.